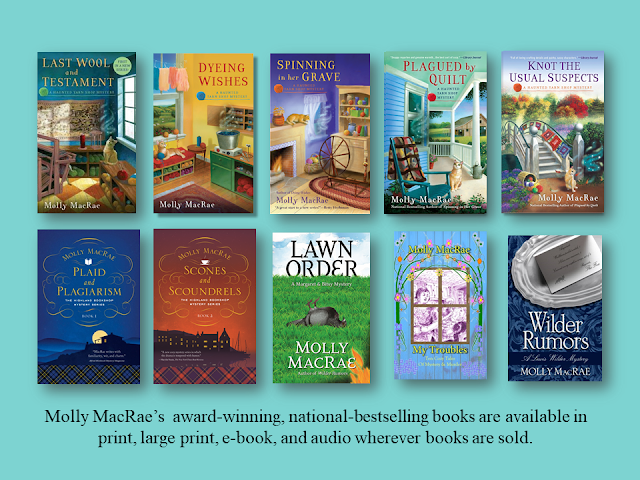 Greetings, on a beautiful summer day, from Yon Bonnie Books! We’re a full-service bookshop in Inversgail on the west coast of the Scottish Highlands. This is a lovely corner of the world with hills, heather, harbor, and . . . homicide. Not often, for the latter, though (or so we hope). There was the Una Graham case, of course (which you can read about in Plaid and Plagiarism), and the Daphne Wood case (detailed in Scones and Scoundrels), but let’s not dwell on those. We’re running a photograph contest at the bookshop this month. We invited locals and visitors to submit shots that capture the cozy feeling of “summer reading.” We received a wonderful variety of pictures, and we’ve narrowed the field to three. Will you help us choose the winner? 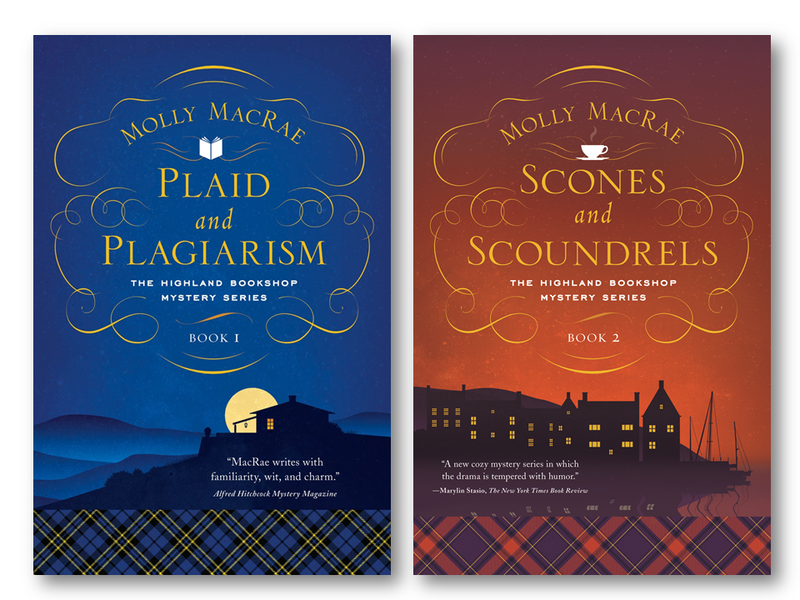 Leave your vote in a comment, and if you include your email address, you’ll be entered for a chance to win a copy of either Plaid and Plagiarism or Scones and Scoundrels—your choice. I’ll choose a comment, at random, to win at the end of the day on Saturday 7/25. I like photo 1 the best. Thank you. They're all good but I also vote for photo 2. cathyaj at icloud dot com. I like number 3 the best. Tough choice, but photo #1 is my favorite. I like photo #1 best. While 1 and 2 are more artistic, I think 3 more captures summer reading. I like photo #2, it has a really cozy feel. Photo #2 is my favorite. It's close between 1 & 2, but I think #2 is best, evoking coziness with the lantern...and the whiskey! Tough choice, but photo #1 wins for me. #3, although I liked all of them. #3 , although I like all. I like photo number one! It was a tough choice but photo # 2 is my favorite. Thank you.😊 for a cane to win, also I want to think you for your posts and reviews. The first one. Nothing better than a cup of tea and a great read. I vote for photo 2. The photograph contest sounds like great way to engage the community. 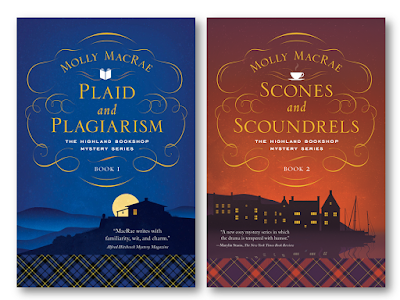 Thanks for the chance to win a copy of Plaid and Plagiarism or Scones and Scoundrel. Picture number two gets my vote. Thank you so much for the chance to win! Saturday today the 28th I hope...sounds great and photo 2 is my favorite. Thank you for the chance.